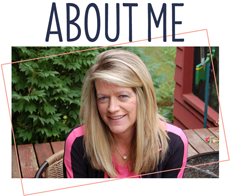 I have a cute little project to share with you today! 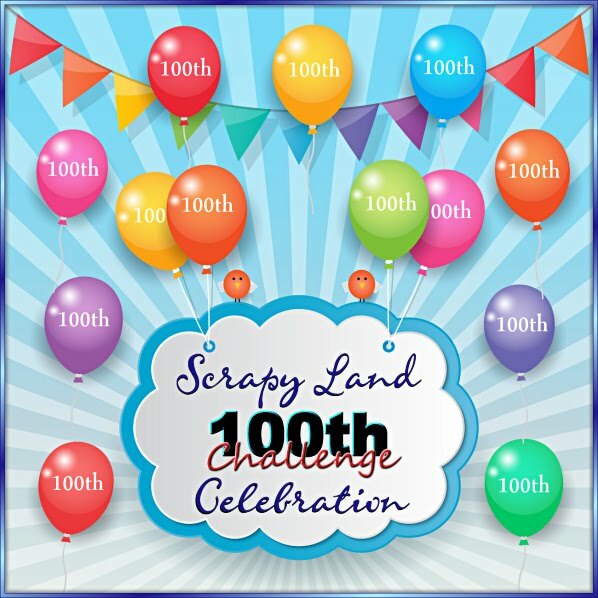 I was excited to find a little time to play in Craftin Desert Divas fun Linky Party~"Beach Theme" challenge that is going on. 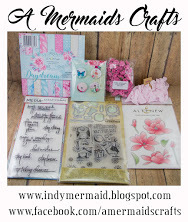 I used a darling digital stamp from Craftin Desert Diva's called Floatie Girl for my card. I printed the image on card stock and colored her in with copics. I die cut the image using the Banner Dies and layered it on black mat the was layered onto the card base. 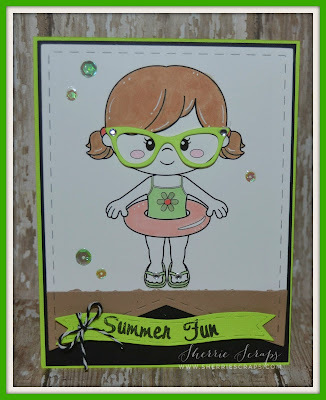 I stamped the sentiment which is from the Gotta Wear Shades stamp set onto a Flag Banner Die. The adorable glasses are from the Taylored Expressions~Spectacles Die and the Corn Maze Sequins are from Craftin Desert Diva. 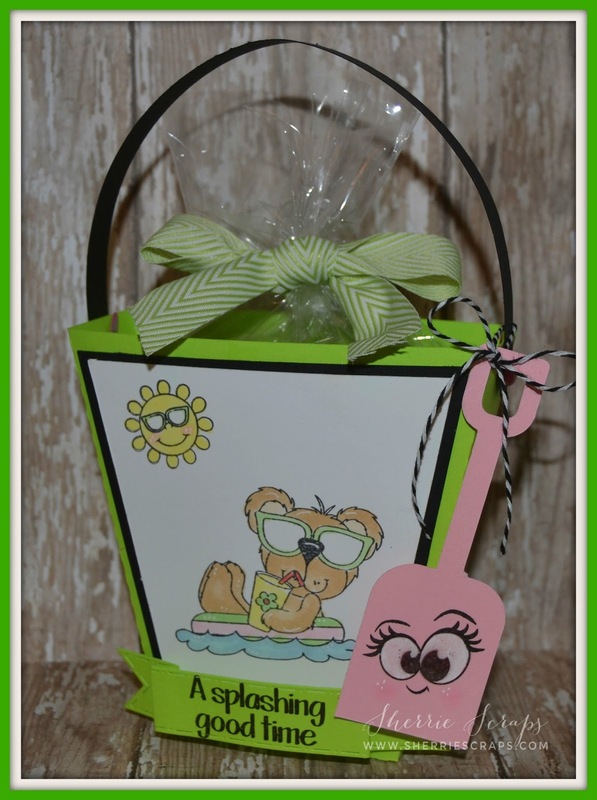 I made a fun little beach pail to go along with the card. I found this adorable beach pail at the Silhouette Store and cut on my Cameo. The sweet little image is stamped with the Gotta Wear Shades stamp set from Craftin Desert Diva and colored it with copics as well. I stamped the sentiment using the same stamp set onto a Flag Banner Die. I stamped the cute little face on the shovel with Peachy Keens Bucket List Emojis Face Asst stamp set. I then tied the shovel to the bucket with twine. I filled the bucket with sour patch worms and tied a bow with some ribbon from my stash. Sherrie these are so cute! I love the glasses and the face on the shovel! Oh, Sherrie, these are so absolutely adorable!! I love the little swimmer with her floatie!! So cute!! The glasses are a perfect touch!! And that face on the shovel - too stinkin' adorable!! I love these my friend!! So summery and fabulous and fun!! Thank you so much for linking up at DL.ART!! These are so super cute!Love the glasses on the little girl! Aw love those glasses and how cute is that peachy keen face on her shovel. Great set, would make anyone smile having them.. Awesome projects!! Love the eyes on the shovel!!! So fun!! Super cute, love her glasses!! Such a darling image on a adorable card! !Love the cut glasses.I love the super cute bag with the sweet bear image. oh my goodness, this is such a perfect little set!! 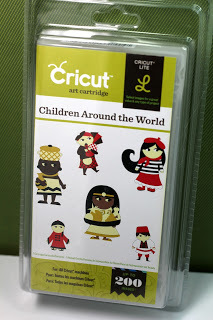 I am going to have to go over to CDD and buy that adorable little image!!! Love the colors you used too!! Oh these are so cute!! I just love the glasses. Thanks for joining Fun~day Friday at Jo's Scrap Shack. This is sooo nice: i like the sunglasses! Ohhhhhhhhhhhhhhh these are ADORABLE! LOVING the colors and those little glasses!!!!!!!!!!!!!!!!!!!!!!!! So cute Sherrie! What a darling ensemble! The little girl is precious! Love the rhinestones on her glasses! Hope you have a great weekend! Oh my gosh! This is so adorable! I love the image of the little girl with her huge sunglasses on your card and the bear in the floatie on your pail is just too cute! Thanks for playing along with us at DL.ART THANKFUL THURSDAY CHALLENGE #185! Oh goodness these are just adorable!!!! I LOVE this sweet little floatie girl image... you colored her beautifully! I really love the colors you chose and that pail is perfect for a treat! Wow, great job my friend! And yes summer is flying by.... way too fast! Super cute love your card and gift bag set. What a precious set. Love the glasses on her. Eeeeek, is this ADORABLE! I love this cute set and that little girl, oh shes just so sweet! So super cute my friend! Oh, how cute! Those glasses just make me smile, she is so cute! Love the pops of green and fun embellishments. This is super cute!